It may be mistaken for a messy, vandalised playground but in the borough of Solihull lies a children’s haven. Meriden Adventure Playground allows local children to be creative and free in a safe environment. They have the chance to build, paint, cook and play. “I’d seen this, but I’d always thought it was for the older kids. “It’s great. Today was a spontaneous thing, the playground provided coats and even gave my kids some crumpets! “The children are occupied, they’re out of their comfort zone. It just looks like a park to some people but there are so many learning opportunities here that they don’t get day to day. Standing by the park entrance attending to the constant arrival of excited children are Vicky and Sharon. 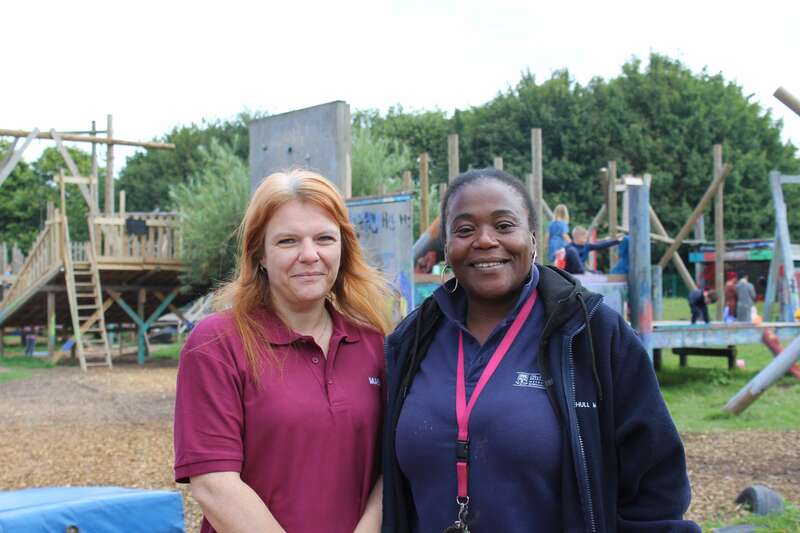 Sharon is employed by the Council and Vicky volunteers after seeing first-hand the benefits the playground has within the community. “I used to come here when it first opened with my kids. It’s a brilliant space for them to let of some steam. My son Adam now volunteers here, he’s autistic and being involved is helping him a lot. “We’re not just a play resource. We’re here for the parents, we’re a hub, we can signpost them to other places. We’re in a regeneration area and some of the parents are really struggling. “We’ve got a lot of kids that come with behavioural problems or autism, they go to other places and get stereotyped. They come here and they don’t get shouted at, they can do what they want in a safe space and they’re fine. Meriden Adventure Playground provides an out of school playscheme service for 5 – 15 year olds. The site facilitates construction, creative opportunities and aims to compensate for the lack of resources in the area. 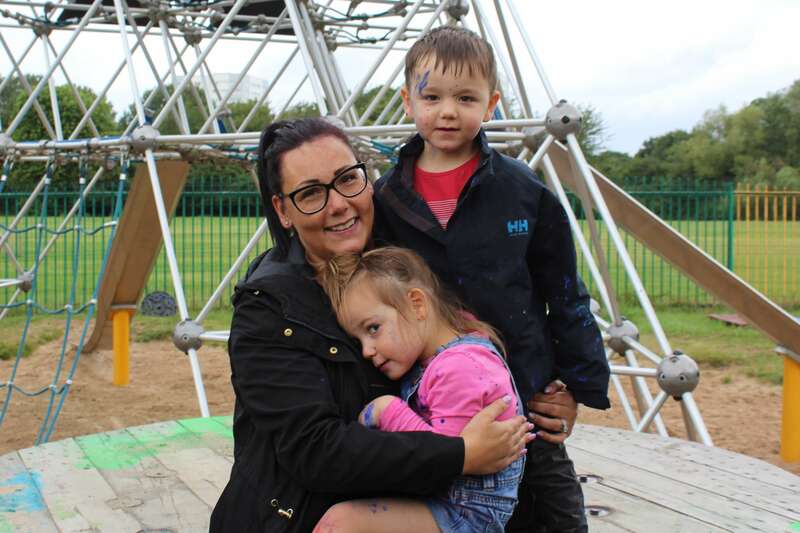 The playground recently received a £5,000 grant from the Comic Relief Communities Grant scheme to help with running costs over the summer holidays.